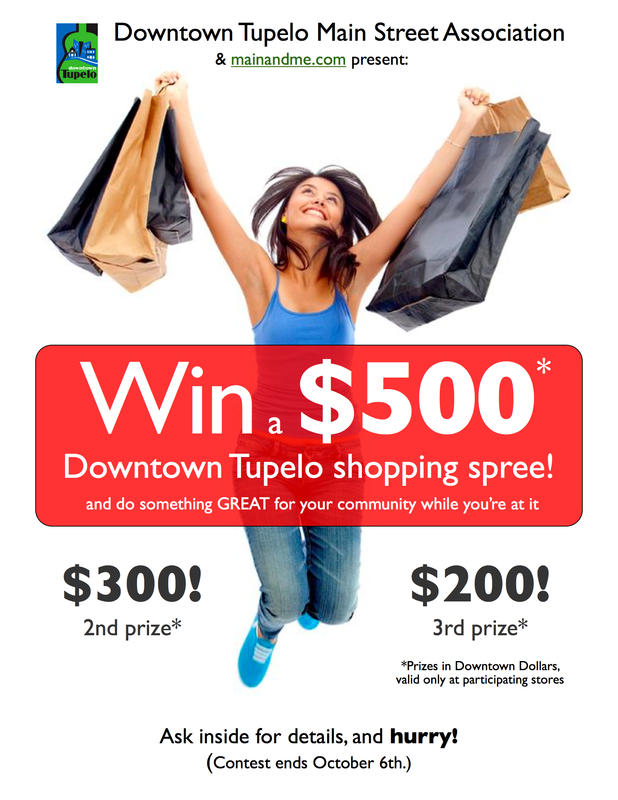 Main Street manager Debbie Brangenberg and her lieutenant Jessica Reed of Downtown Tupelo Main Street Association have thought up a brilliant way to raise awareness–in anticipation of the 2012 holiday shopping season–of the wonderful goods and services for sale in Tupelo’s downtown historic shopping district. 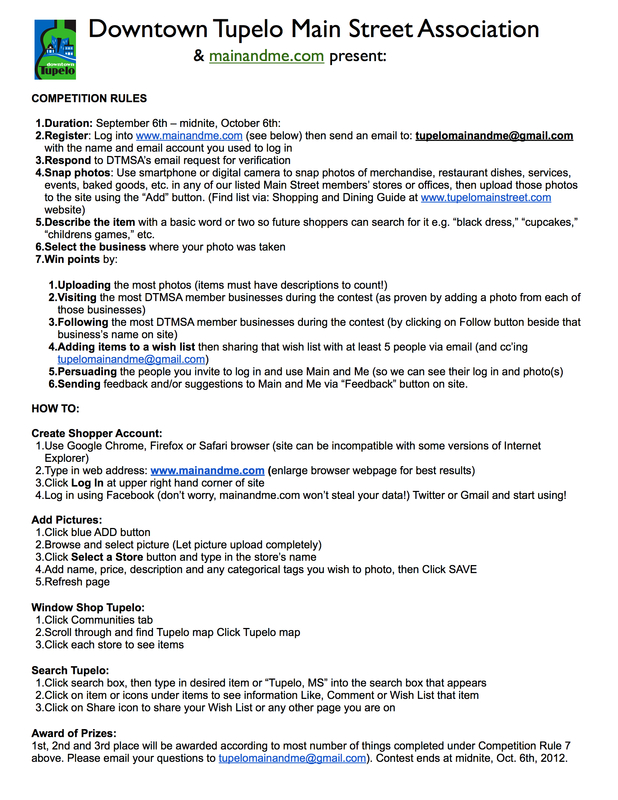 The promotional posters and rules of the contest are published below. Can Main and Me do one with you?